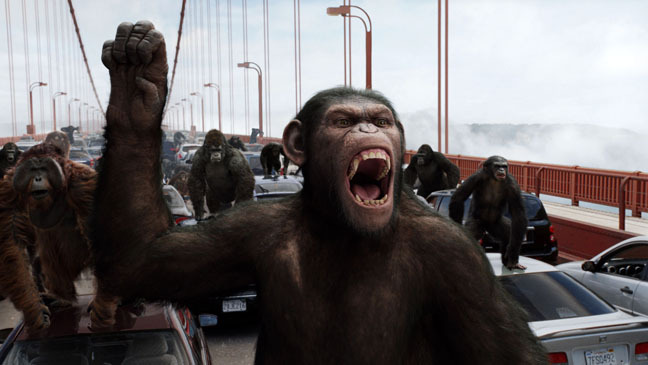 Not so surprisingly, pre-production for the sequel to Rise of the Planet of the Apes is underway. Andy Serkis will return in his captivating role as Caesar and director Rupert Wyatt will again sit in the director’s chair. The newcomer? Scott Z. Burns, the man who wrote the epidemic thriller, Contagion, will pen the screenplay. The sequel will deal with the apes’ uprising in society while the virus outbreak from the first film diminishes the human population. Burns involvement in the story is a smart move; considering his work on Contagion. He has the potential to form the plot around the break down of human society and the rise of the apes’ — and with a level of growing paranoia. It’d certainly add tension.